1. A stainless steel chimney liner can make your home safer for a relatively small investment. If you have an unlined chimney or a clay tile liner that is many decades old, it is likely that you have cracked tiles or missing mortar that could be letting noxious gases and smoke into your attic or living areas. For a few hundred dollars, you can install a stainless steel liner that will eliminate leaks. 2. A stainless steel chimney liner will protect your chimney from corrosive combustion products. The liner is sealed from top to bottom so that the smoke, creosote, water and carbon dioxide from burning fuel are carried outside without contacting the masonry chimney structure. 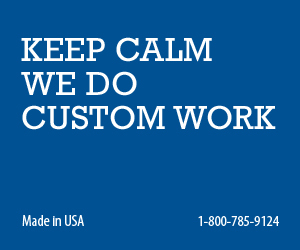 Stainless steel is corrosion resistant, so a stainless steel liner will last many years without leaking. 3. 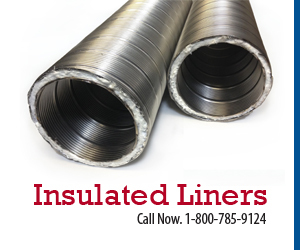 You can insulate a stainless steel chimney liner. You can wrap the liner with insulation before you insert it into the flue, or you can fill the dead air space between the liner and flue with insulation after you insert the liner. Clay tile or cement chimney liners are usually not insulated. An insulated liner allows less creosote condensation inside the flue by keeping the combustion gases hotter all the way out of the chimney. When you are not burning a fire, an insulated flue will inhibit cold downdrafts from inside the chimney. 4. A stainless steel chimney liner is easier to clean, and therefore less expensive to maintain, than an unlined or clay tile lined flue. It is easier to clean the round steel liner than it is to clean the square or tightly rounded corners inside an unlined or tile lined flue. 5. Some high efficiency fuel burning appliances require stainless steel liners. Older water heaters and furnaces were often vented with galvanized steel or aluminum chimney liners. The inefficient burners vented hot gases that did not condense before they reached the top of the flue. More efficient burners vent cooler gases which result in corrosive condensation inside the flue that will quickly corrode liners that are not made from stainless steel. 6. A stainless steel liner may improve your home’s energy efficiency. 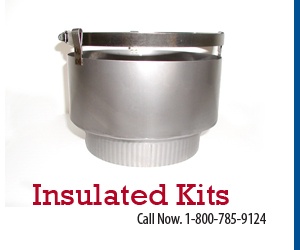 As mentioned above, an insulated liner reduces cold downdrafts when you are not burning a fire. It also improves chimney draft since hotter gases will draw better than colder gases. Good draft improves fuel efficiency through more complete combustion. 7. 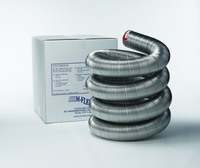 A stainless steel liner is easier to install than other types of liners. Adding or replacing a clay tile liner inside a masonry chimney is more labor intensive and usually more expensive than inserting a stainless steel liner inside the flue.